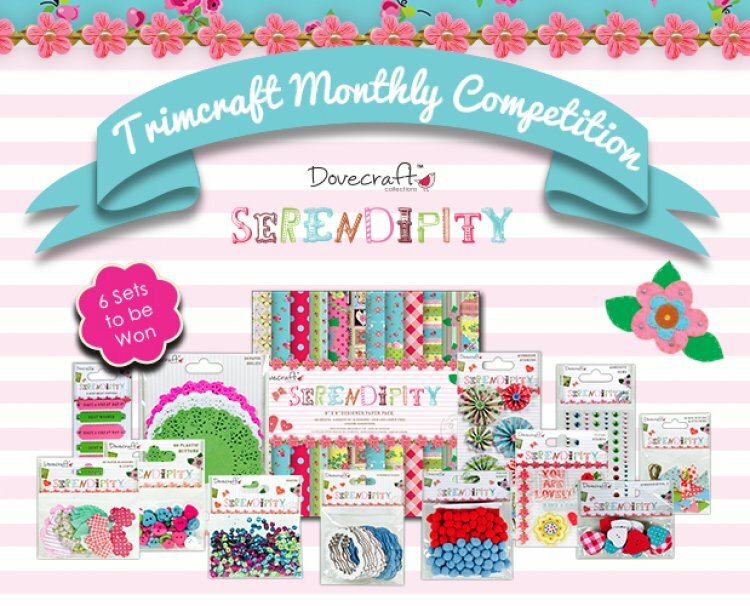 As the night’s draw in, we thought you would like the chance of winning the lovely Dovecraft Serendipity craft range, perfect for brightening up chilly days with its joyful designs and patterns. The new Dovecraft range is perfect for a variety of occasions and will be a great addition to your craft collection. Our lucky winners will win the 8” x 8” paper pack along with some fabulous embellishments including sequins, buttons, mini bunting and more! For the chance of winning this fab collection, all you have to do is log in and click the ‘enter above button’. We shall pick the winners on 2nd November 2015, good luck!